Business Plans are a standard requirement by lending institutions, including SBA lenders, when pursuing financing for a business acquisition. However, business plans should be looked at as part of the bigger picture, as an architectural blueprint, the guide that will elevate your enterprise to the level you envision. The discipline of constructing a business plan gives you the opportunity to examine and understand the challenges ahead and generate realistic expectations for your new business. This involves cohesively organizing your business ideas and financial needs and aligning them with detailed marketing and management plans that conform to your budgetary constrictions. How far ahead should business plans look? A three year prospectus is standard since circumstances can change over long periods of time. Business plans should also include contingency plans since investors or lenders will want to know how the company will continue operations should something happen to the owner. Your business plan should have a cover sheet and a table of contents. The cover sheet includes the name, address, and telephone number of the business along with the names of all principals. The table of contents lists the headings and subheadings in your plan as shown in the sample outlined below. This section is a statement of purpose and summarizes what is contained in the plan, such as the company's mission, objectives and key elements. The summary allows investors or lenders to learn about the company without having to wade through the entire business plan. Also included is the location of your business in terms of desirability and accessibility. Your operating budget should show the expenses you will incur and how they will be paid. You should cover the first three to six months of operation. This section should also address your accounting system and inventory control. You should also include any financial data and supporting documents listed in the sample table of contents outlined below. The existing business owner may already have operating procedures, manuals, and materials. You can describe any training and assistance that you will be receiving from the previous owner. Who will be your prospective management team and what are their credentials? What are your plans for hiring and training personnel? 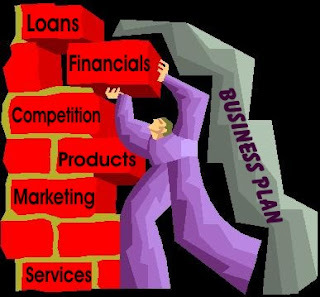 A good business plan is a solid structure, the specifications that will help you achieve your goal. Make the plan an active participant in your company, it is a tool to measure your progress and keep the vision on track. « When Is The Right Time To Sell A Business?